It’s simple. If you believe that your thoughts create your reality, and that your words have creative power, then it only makes sense that you strive to think and speak only in ways that create the reality you desire. In other words, never say anything that you don’t want to be true. Don’t say things like, “I’m not good in math.” Say instead: I’m working on improving my math skills. Don’t say “I’m too fat.” Say instead I’m working on losing weight. So, let’s try one together. 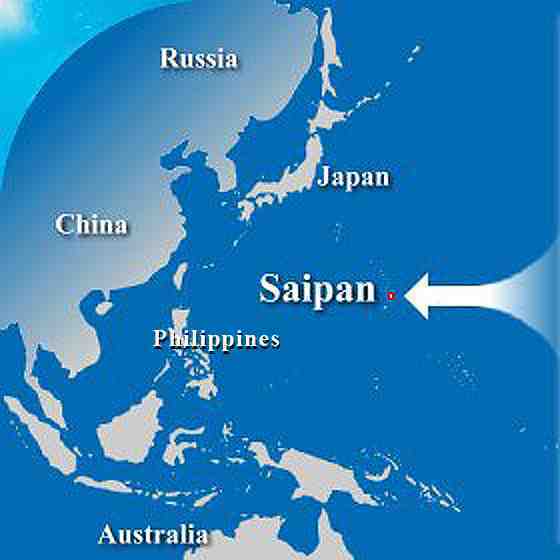 Repeat after me: “Saipan is going through a transition right now.” There, now doesn’t that feel a little more hopeful than what others are saying? This mindset doesn’t require that you avoid the reality of a situation. It simply suggests that you craft your statements about the world in ways that inspire hope and possibilities rather than negativity and doom. You’ve got nothing to lose and everything to gain. No matter how true you believe something to be, if it’s negative, there’s no need to actually say it out loud. No good can come of it. In fact, you can actually choose never to say anything unless it helps and supports another human being in thinking, believing and performing at their best. (Remember the old maxim: If you can’t say anything good, don’t say anything at all.) Remember, most people are not inspired to excel when they feel depressed and hopeless about their situation. People generally rise to the level of their potential based on a sense of hope. There’s no good argument that favors choosing doom and gloom over possibilities, unless your agenda is to depress people, or take away their power. The news media is trapped in a cycle of reporting negativity in order to survive. You, however, don’t have to be. In everyday conversation, limiting absolutes generally start with the words “Everyone...”, “No one...”, “We all know that....” “It’s a fact that...” and go on to describe a belief system that the speaker believes is indisputable fact. These are nothing more than beliefs; limiting beliefs that stifle growth. The point here is not to debate whether these are provable, or to cite evidence to prove them. The point is to endeavor to say things that allow other possibilities to exist so we are not so cripplingly limited by the situation in the first place. Another way to stay positive is to never give away your power. Don’t give your power to “Nov. 28.” Don’t give your power to Article 12. Don’t give your power to visas and green cards. Don’t give away the power you possess to steer your life in a certain direction to an external force outside of you. The reason people find it so hard to be positive is that they’ve given away their power to belief systems that, in some cases, were specifically designed to take away their power. That keeps them dependent and controlled, and thus unhappy. Studies have shown that the degree of contentment in a person’s life is directly related to how much control they feel they have. More sense of control equals greater happiness. So how do you NOT give your power away and stay in control? A good strategy is to always have a “Plan B.” Remember, any plan that relies solely on the actions of another individual, or an outside force in order to be successful is a flawed plan. What will you do, and more importantly, what are you putting in place now just in case your “Plan A” falls through? One surefire way to stay positive all the time is to never allow any one person or situation to hold the key to your success or happiness. Question your current belief system...all of it! Now, I’m about to suggest something radical here. I’m going to suggest that if you are not living the kind of life you want to live, or getting the results you want, it’s because your belief system is flawed. Plain and simple. We live in a supportive universe. The potential exists in every waking moment to create anything you desire. So, if things aren’t going your way, it’s probably nothing you’re doing wrong per se; it’s more likely something you believe that is not in alignment with truth. In other words, there is something you believe to be true about yourself, about other people, and/or about how the world works that is not true. Let me give you an example. If you are not as slim and trim as you wish to be, for example, it’s because something you believe about yourself (e.g., I’m just naturally a big-boned person) or something you believe about how the universe operates (e.g., milk does a body good) that is not in alignment with reality. It’s practically impossible for you to stay healthy and stay out of the hospital eating the standard American diet of processed snacks, vitamin-stripped foods, pasteurized dairy products with growth hormones, meats with antibiotics, vegetables with pesticides, prematurely picked and force-ripened fruits, and so on. The truth is, the food you’re eating is not fit for human consumption, and, in many cases is actually designed to get you addicted to it. Only when you adopt a belief system that is based on the truth about your body, and the effects of such a diet, will you be able to take control of your body, your health, and create the results you desire in that area of your life. So, you must question all of your belief system. Everything is connected. What you believe about life, death, sickness, health, good, evil, men, women, black, white, love, family, and the reason for your existence are all things that affect what you do in life. Adjusting your beliefs in just one area could have a profound and life-changing effect in other areas. Changing your beliefs about health and food might free you from financial debt. Changing your beliefs about religion could help you in your business. Really! Finally, an important way to stay positive all the time is to watch who you spend time with. You might consider having the same criteria for your friends, lovers and even the people you follow down the political trail. How do you feel after being with them? Do they bring out the best in you? Do you feel drained and depressed, or do you feel energized and inspired? Do they whine and complain, or do they offer ideas and solutions? Be wary of people who argue on behalf of their own, or your limitations and encourage dependence rather and independence. Keep company with people who are going in their own positive direction, or who, at the very least are not discouraging you from going in yours. So, in answer to that question posed to me last week, the secret to staying positive all the time is having and acting on the right set of beliefs, developing a sense of hope and accountability for your outcomes, hanging with and accepting leadership from the right set of people….and drinking soy milk! Thanks to all those who attended Sunday’s workshop and who are courageous enough to begin developing a new belief system about what’s possible for them using their passion for writing! Visit www.saipanliving.com for photos and video from the event. 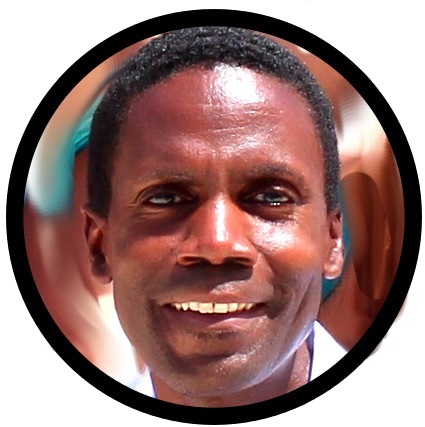 Walt F.J. Goodridge is author of 15 books including Turn Your Passion Into Profit. Walt offers coaching and workshops to help people pursue and profit from their passions. Originally from the island of Jamaica, Walt has grown several successful businesses in the US, and now makes his home here in Saipan. To learn more about the Saipanpreneur Project and Walt’s philosophy and formula visit www.saipanpreneur.com and www.passionprofit.com.